As I type furiously away on my laptop, there’s a sense of apprehension in the air. Do I dare say this? Do I dare cross the tide of blogger opinion? Am I the ONLY one that doesn’t rave about the Apocalips?? Okay, let’s take a step back. I’m not talking about four horsemen and a load of see-ya-later World. 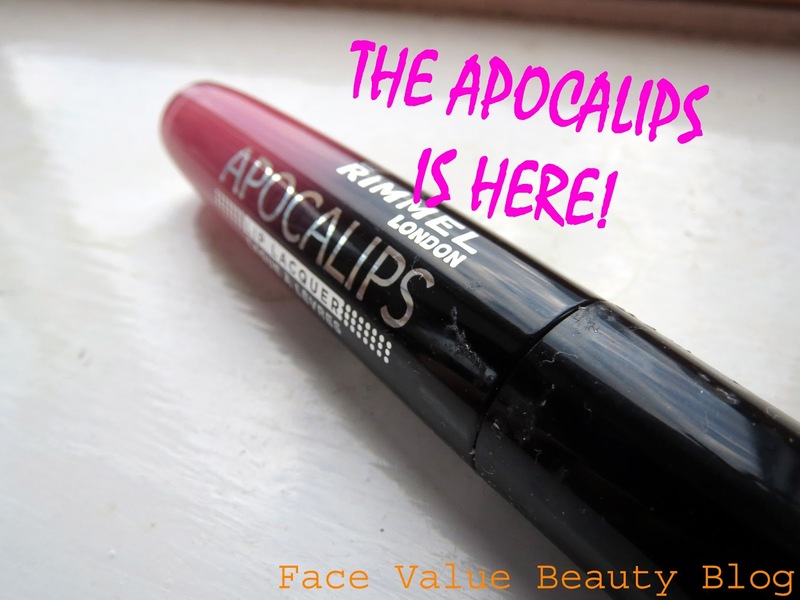 I’m talking about the Apocalips Lip Lacquer range brought out by Rimmel…. These are what I’d imagine to be the result of a drunken fling between a lipgloss and a lipstick – the thick colour and coverage of a lipstick mixed with the high shine and wand applicator of a lipgloss. On paper, this is great – shiny liquid lipstick! 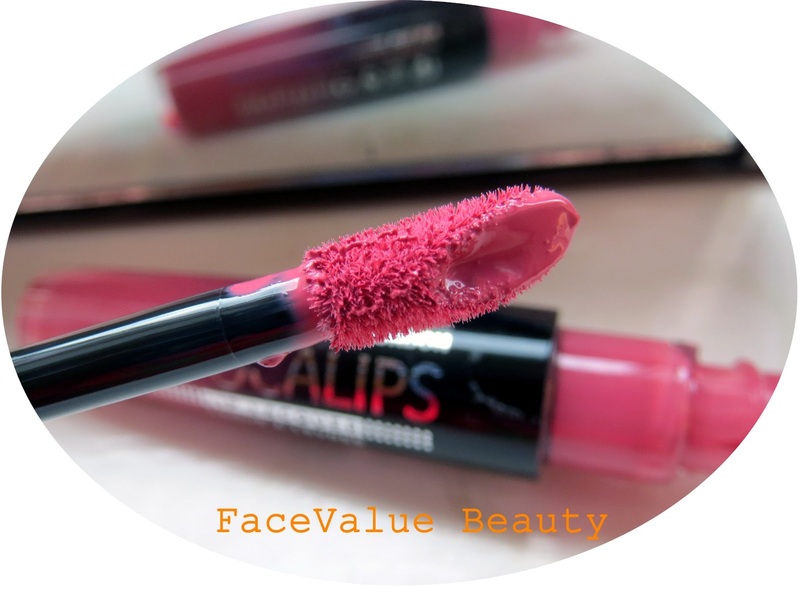 The Apocalips formula is full of creamy pigment and gives bold coverage with just one swipe of the foam applicator. 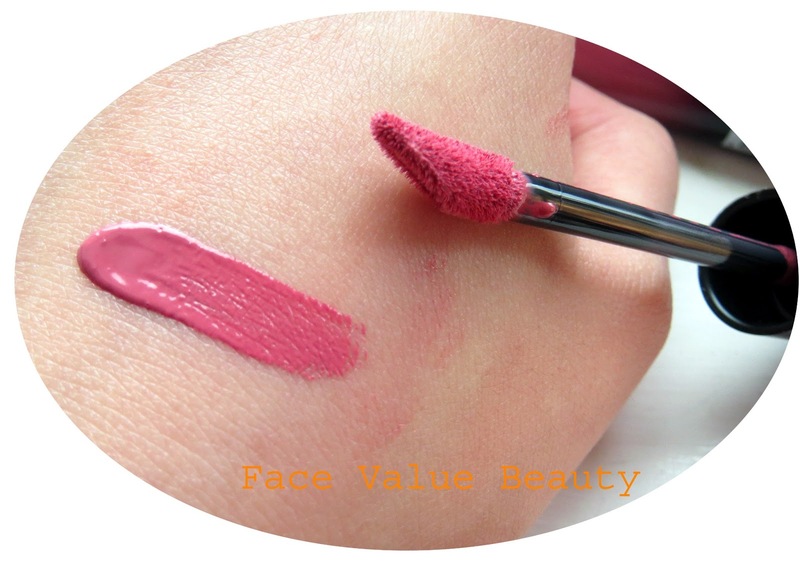 This colour is Celestial – a lovely mauve/pink which comes out true on the lips as it does on the wand. Quite girly, yet neutral at the same time. For me though, the glossiness wears off as quickly as a normal lipgloss and it wears off everywhere. On my mug of tea, on my bagel, on my white collar – EVERYWHERE. In terms of preservation – don’t eat or drink with it, make sure it doesn’t catch your clothes – basically treat it like a normal lipgloss – especially because if it’s accidentally transferred anywhere, it will show up twice as much!! These comes in a range of shades, and my advice is to stick to the bright ones. These lip lacquers aren’t so creamy in the paler shades and certainly not to be used if your lips are even remotely chapped – it will go patchy and clump and YUCKY. 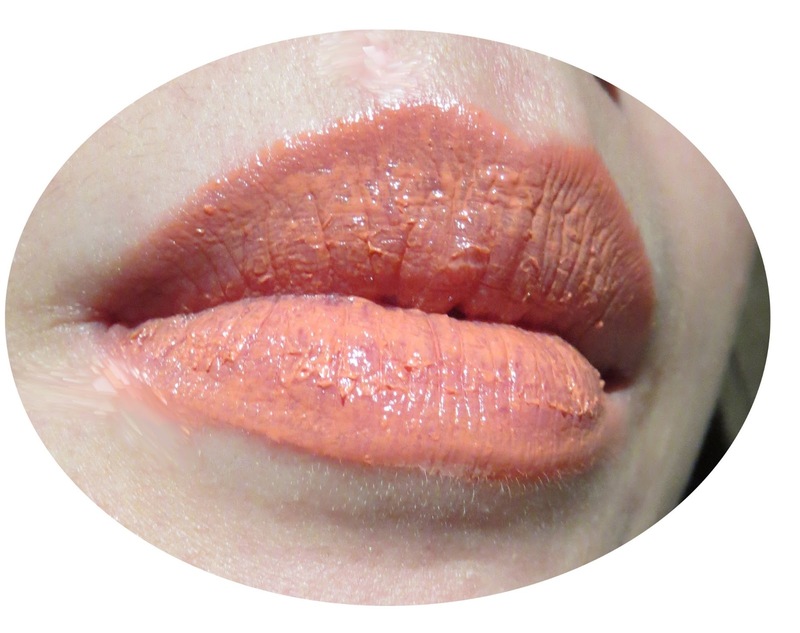 It’s a gorgeous shade though, so my tip is to BUFF YOUR LIPS first! I was tempted not even to put a photo up of me with LUNA on, but seeing is believing…… HIYA PATCHY. Finally – of all the blogs I’ve read, no one seems to have commented on the scent! It smells like cheap lipsticks I used to buy in the 90’s – all plasticky and fake vanilla. Not my cup of tea. Overall – I sort of liked the Apocalips – but I’m definitely not raving about it. It’s creamier than a coloured lipgloss, but still somehow lacking in its formula. I would probably buy the bolder shades but certainly not the lighter ones! What do you think? Anyone tried the Apocalips? What do you think of the lipstick meets lipgloss idea? Previous Post Saving Face: My Beauty Solutions To Help Save Your Spending! i bought some on the 3 for 2 offer and i have to agree about the scent, it's vile! and they do only work out if you have sugar scrubbed your lips to death. i think they're ok, but there's better products out there!from helen at thelovecatsinc // youtubeps. enter my new giveaway to win the UD naked basics palette, real techniques brushes and essie polishes! click here. I totally agree with all of this. Thank god its not just me!